Greg McLean, who brought us the instant cult horror classic Wolf Creek, now brings us a new supernatural twist in the trailer for his latest horror film The Darkness. Horror veteran Kevin Bacon leads the cast of a family of four who spends an innocent vacation at the Grand Canyon. After spending some time in the underbelly of the monument, where legend has it that the guardian of the Native American spirit world resides, young Michael (David Mazouz) seems to have brought something sinister home with him. Strange occurrences start to happen to each member of his family, seemingly feeding off of their fears and vulnerabilities. Is Michael behind it all, possessed with an ancient Native American spirit, or has he brought the supernatural force home with him? The film certainly doesn’t seem short on the scares, and who doesn’t want to find out if the Grand Canyon is really haunted? With a stacked cast, an interesting plot and a creepy kid for good measure, this is one film we won’t be missing. 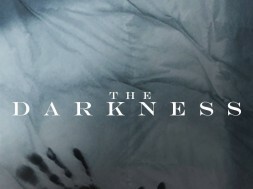 The Blumhouse Production The Darkness stars Kevin Bacon (The Following), Radha Mitchell (Silent Hill), David Mazouz (Gotham), Lucy Fry (Vampire Academy), Matt Walsh (Veep), and Jennifer Morrison (Once Upon A Time). Directed by Greg McLean and written by McLean along with Shayne Armstrong and S.P. Krause, who often co-write (Bait). The film was produced by Jason Blum, the powerhouse behind such blockbuster horror films as Insidious and Paranormal Activity, along with Matt Kaplan (The Lazarus Effect), and newcomer Bianca Martino. The film will be released by BH Tilt in coordination with High Top Releasing. The Darkness opens nationwide on Friday, May 13th, 2016. You can follow the film on their facebook page for further updates. See why you should fear The Darkness and watch the trailer now.